If you'd like instant access to new French Valley Estates listings, please send a quick note with what you're looking for, and we will send you homes matching your request! GORGEOUS, single-story home in desirable French Valley area of Silver Oak. This 2002 build features many recent improvements. Enter the home through the welcoming courtyard into the large great room with combined living and dining areas, including a gas fireplace. New installed laminate flooring throughout. Huge kitchen features new appliances and many upgrades including new sink, Granite counter tops, glass subway back splash and just installed appliances. Nice guest powder room located down the hall before you enter the private bedroom areas. Large master bedroom with a retreat that can be converted to a 4th bedroom. Master offers two walk-in closets. The en-suite in master has new seamless glass shower enclosure, granite counters, with new sinks, fixtures & mirrors. The two additional bedrooms are located down the hall and share a full bathroom with upgrades and double sinks. Additional storage in hall and inside laundry room. 3 car garage (2-car garage access to kitchen plus 1-car garage with built-in storage shelves access through laundry room.) Covered back patio stretches the length of the home. Low maintenance yard. Home is located in the award-winning Temecula School District. LOW HOA ($10 a month) & LOW TAXES! This move-in ready home is a must see, whether you are looking for a place to call home or an income generating property. [This property will also be listed for lease in a separate MLS listing coming soon.] Listing agents own this property. ~Low tax rate and low HOA in Winchester~ Beautiful three bedroom, three bath single story home which includes two master bedrooms. As you walk up you will notice the nice gated courtyard which will guide you to the 8 ft french doors. As you walk in you will notice the very large formal living room and dining room with 10 foot ceilings throughout the home. The formal living room has a dual sided fireplace that sees through the family room which opens up to the huge gourmet kitchen with a large kitchen island. Tons of counter space, upgraded cabinets, rollout island drawers, double ovens, five burner stove, and walk in butler's pantry. This kitchen with an open concept makes for great entertaining. The backyard is fully landscaped and very private with no neighbors behind you. This home also includes a tandem three car garage. Very low HOA dues of approximately $10 per month. VERY LOW TAX AREA!!! Prime location. Just minutes to Temecula Wine Country, Promenade Mall and major freeways. This property is a must see!!! Absolutely adorble French Valley SINGLE STORY three bedroom two bath home with a den (currently used as an office) that can easily be converted to a fourth bedroom! The high ceilings throughout give it that light and airy feeling from the moment you walk in the door. Upgraded tile flooring throughout the home allows for quick and easy upkeep. The entertainers kitchen opens to the family room and has massive amount of cabinet space and counter tops which will allow even the most finicky cook to enjoy cooking while your guest gather around the fireplace in the family room. The front yard is oversized, great for the family and allows for a lot of parking in front of your new home. The backyard is spacious and the wide side yards are perfect for a private garden or dog run. The long driveway and unique split three car garage gives you ample parking and storage, both garages have direct access to the home. Added bonus is that this French Valley home is located in the award winning Temecula Valley Unified School District!! And best of all the TAXES ARE LOW!!! Call today for a private showing. French Valley Estates is a smaller cozy subdivision in the community of French Valley, California. Located near Pourroy off Auld, this community offers peaceful living with extra space. The homes and lots here are larger than many surrounding neighborhoods and most are considered to be view lots. Many have RV access and some have their own casitas. These homes were built in 2006 by Silver Oaks. They have low base tax rates and low Home Owners Association fees. Students here are served by the Temecula School District which provides facilities like French Valley Elementary School, Bella Vista Middle School, and Chaparral High School. Schools outside the community include Temecula Preparatory School and Temecula Valley Charter School. The residents of French Valley Estates are only minutes away from the French Valley Airport as well as Skinner Lake and Recreation. The lake is perfect for camping, fishing, boating, and hiking. And it is the home of the annual Temecula Valley Balloon and Wine Festival, an award-winning event. There are many daily services nearby as well as plenty of stores and restaurants. The French Valley Village Center has stores like Albertsons, Trader Joe’s, Starbucks, Stater Brothers, Barnes and Noble, and CVS Pharmacy. The French Valley also offers centers like The Falls at French Valley, French Valley Crossing, and The Commons at French Valley. Nearby Temecula is known as wine country and offers the Promenade at Temecula which features over 100 brand name stores and unique boutiques. If you’re already working with a Real Estate agent, please utilize your agent’s website & direct expertise to aid in your home search. We are only able to directly serve our own clients. Thank you for your interest in the French Valley Estates community, and we wish you the best of luck with your Real Estate needs. Whether you are contemplating buying or selling a home in French Valley Estates, it is important that you hire the right team that fits your needs. We roll out the red carpet for buyers & sellers alike, and ensure you have access to us 24/7, as we aim to earn your business for life! 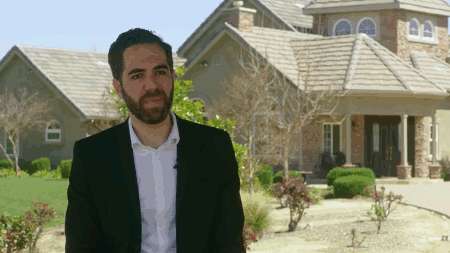 We understand the market well, and you will not find a more qualified French Valley Estates real estate agent to help you with all of your Real Estate needs! As a buyer, you will have access to French Valley Estates listings the second they hit the market, which gives you a leg up on the competition. As a seller, your home not only will be featured on one of the top French Valley Estates sites on Google, but we also will syndicate your home to hundreds of other sites, hold weekly open houses, send out postcards, and much more! We have helped dozens of buyers & sellers, and look forward to helping you as well! This 3 bedroom, 2 full baths, 1 half bath home, located on Red Oak Street was recently sold on Thursday, March 21st for &dollar;449,800. With 2,148 square feet of total floorspace, this home comes in at &dollar;209.40 per square foot. There are also 3.00 garage spaces available for parking. Listing provided courtesy of Robert Reece at Tarbell, Realtors, L.h..